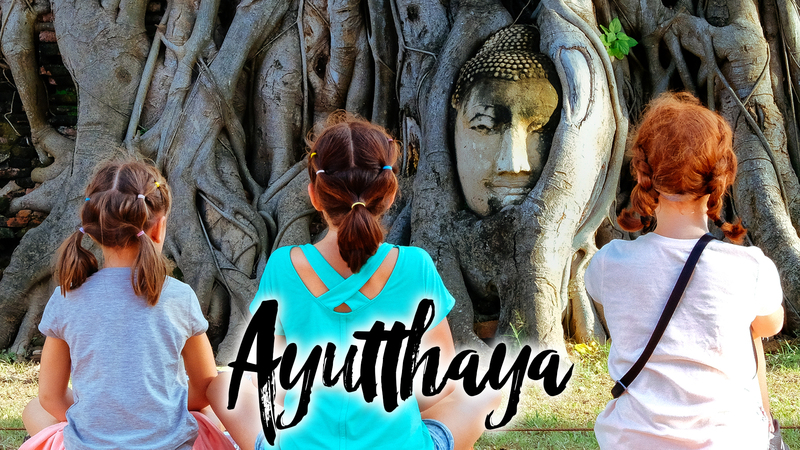 In this episode of our family travel vlog, we spend our first few days of island hopping in Krabi, which was amazing! I think it will be pretty tough for me to get the wife and kids to move on from the beaches here. We chartered a private boat guide, Wan, who took our family to some of the more popular islands, as well as isolated coves that only a seasoned captain would know. Check it out! So after giving Wan a deposit the night before we were off to Ao Nang Beach, hoping that he would be there to take our family off to explore some of the islands and beaches in the area. We were relieved once we saw him as we didn’t exactly have a receipt or any recourse if he had taken our deposit and ran. After about a 20-minute long tail boat ride we were at Phra Nang Cave Beach which can actually be accessed by walking paths from Railay Beach, but it was great to approach the beach via water, creeping through narrow boat paths and by the limestone monoliths scattered offshore. After spending some time there we headed off to a few of the National Park islands which were beautiful in their own way but seemed to be a bit more touristy than we really wanted. Still a beautiful place, but honestly, so many of the beaches are beautiful, we could have probably done ok without the crowds and the astronomical park entry fees. Our second day with Wan we requested to go to a private secluded beach as it was Lua’s birthday and we wanted to just keep it low key and enjoy the day as a family. He took the family to a wonderful little beach which the kids just loved. There was a great cave to explore and the crystal clear water was great for snorkeling and to feed the fish. We wrapped up Lua’s birthday with the help of our hotel, Kokotel for those that are interested, who bought me a Mango Cake to celebrate her birthday. Needless to say, we had a great few days and are looking forward to exploring the Phi Phi islands, Monkey Beach, and doing more snorkeling before we leave for Singapore.